Malaak Compton is an Oakland, California-born American actress, businesswoman as well as a social worker who is perhaps better known for being the wife of successful Hollywood actor, Chris Rock. Born on 13 June 1969, she has been an eye candy for media since she and Chris Rock wed on 23 November 1996. She is a social activist who advocates and works for the betterment of working women and their lifestyles. A famous philanthropist who is popular not only for being the wife of a celebrity but for her own contributions towards society, how rich is Malaak Compton-Rock as of early- 2016? At the present, Compton has been counting her net worth at the amount of $20 million. Needless to say, her being involved in showbiz as well as business has been most significant in raising her wealth. Moreover, being the founder and executive director of a non-profit salon named Styleworks also adds a part of her income. Raised in Oakland, Malaak attended Howard University from where she graduated with her BA degree in arts management. She then started her career as a public relations executive, and booked celebrities for UNICEF. After she married Chris Rock in 1996, Malaak had to quit her job at UNICEF due to Chris’s busy schedule as a successful Hollywood actor. Even after leaving her job, Malaak was still active in social work. Eventually, she founded a non-profit organization, Styleworks which serves as a full- service salon. She still serves as the executive director in this company. Noted for her relationship with various highly regarded celebrities, Malaak is a close friend to Oprah Winfrey, and attended the opening ceremony of Oprah Winfrey’s school established in South Africa. Others of her high profile friends include Erica Reed, Veronica Webb, Kelly Ripa and many others. Malaak has also appeared on television several times, being interviewed thrice on “The Oprah Winfrey Show”, and was shown in television series “Entertainment Tonight” twice. She also presented herself as a judge in the show “The Big Give” as well as in the TV Movie documentary “CNN Presents: Black In America 2”. Obviously, all of these projects have a significant hand in making Malaak a multi-millionaire as of today. One of the winners of 2002 Mothers & Shaker’s Awards as featured in Redbook Magazine, Malaak has always managed to make her stand as a social worker for the welfare of women. In addition to Styleworks, she has also founded “The Angel Rock Project” which has been supporting numerous charities like Safe Horizon, Hope Worldwide, Champions for Children Campaign and several more. 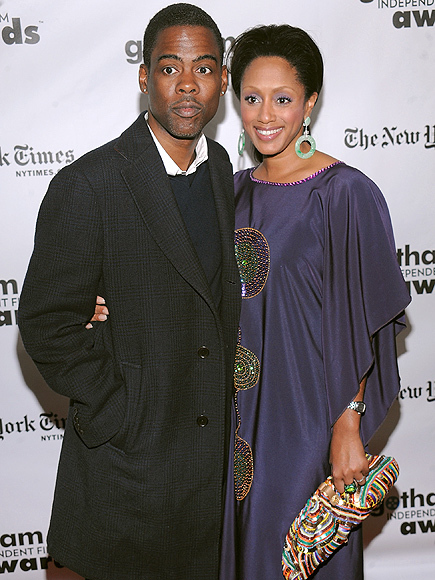 As far as her personal life goes, Malaak is now on the verge of getting a divorce from Chris Rock. The couple got married on 23rd November, 1996 and Chris and she are now parents to two daughters. However, Chris Rock filed for divorce from her in December 2014. Although their divorce may change Malaak’s net worth in the near future, she has been enjoying her riches amounting to $20 million as of now. 1 Balance is essential. Family, husband, friends, and YOU need dedicated time to make each relationship work. When your equilibrium is off, you are not at your best. You need to reevaluate and readjust each relationship depending on what stage or place you are in your life. 2 I left UNICEF not because I wanted to, but because my husband has a job that takes him all over the world and it became quite difficult to keep up with the travel that my job with UNICEF required and the travel that was expected of me in my marriage. I made a decision that so many of us women have to make: I needed to make an adjustment in my life to make both my marriage and career work. 3 At the time that I was evaluating my departure from UNICEF, the Welfare to Work program under President Bill Clinton's administration was headline news. I was inspired by this initiative and the opportunity to work with women making such an enormous transition. I founded "Styleworks", an organization that provides comprehensive grooming services-hair styling, make-up application, skin-care services, accessories, and image consulting-for women entering the workforce. 4 When a woman feels her best, when a woman reaches her full potential, everyone around her profits. This was the fundamental premise behind Styleworks. Presentation is key, and a gorgeous suit paired with the wrong hairdo, chipped nail polish, or heavy makeup sends the wrong message in a professional interview. Appearance means a lot in our society, so we prepare woman to look and feel their best. 5 A good percentage of our clients at Styleworks are college-educated women who left the workforce to raise their children. Deep into motherhood and marriage they were faced with marital problems that led to divorce or separation and consequently left them in a precarious financial position. I preach often that being a mother is a full-time job. And part of that job is to secure the well-being of your family, so you need to stay connected to your finances. It is important to know that your name must be on all paperwork pertaining to your home, car, and investment portfolio. 6 Marian Wright Edelman, founder and president of the Children's Defense Fund (CDF), is my single greatest source of inspiration. She is a lifelong advocate for disadvantaged children and, through my relationship with her, I became involved with the CDF Freedom Schools. Most recently, I helped raise funds for the CDF Freedom School located in the Ninth Ward of New Orleans, which was in jeopardy of closing due to lack of funding. It is also from Marian Wright Edelman that I adopted the mantra "Service is the rent we pay for living. 7 I feel that everybody can do his or her part in helping mankind. Service should be a part of everyone's life and should be embraced early on. I tell my children that when you get a toy, you give a toy. Teaching gratefulness and sharing your blessings are essential to living a productive and balanced life. 8 A lot of non profits, particularly grassroots organizations, can truly utilize the expertise of lawyers, publicists, accountants, marketers, and writers who are willing to volunteer their services. If you want to get involved in the nonprofit world, then ask yourself what your talents are and apply those skills to helping others. Grassroots organizations don't have the funds to hire professionals and heavily depend on volunteers. Donating your writing services or organizational skills are just as valuable as writing a check. Another important factor in getting involved is aligning yourself with a cause that you are passionate about. Once you find the cause, the support will come naturally. 9 As a way to highlight the organizations that I am actively involved with, I recently launched the Angel Rock Project. The Angel Rock Project will function as a community of service. It will provide tips and guides to getting involved with non profits and will highlight grassroots organizations that have compelling stories and need assistance. It will also showcase the many endeavors I am involved with, including humanitarian campaigns, television projects, and writing. 10 Courage is a virtue in women. Don't let fear hold you back. 11 When a woman feels her best, when a woman reaches her full potential, everyone around her profits. 12 My inspiration for styleWorks came from seeing the different changes in welfare laws and my belief that everyone needs to be supported on their journey to more satisfying lives. 13 Styleworks is the most rewarding thing I have ever done in my life. When I see the women's reaction when they first turn around and look in the mirror... it fills my spirit. 1 Enrolled in Mathematics I, Spring 1989, at Howard University with Monecia Samuel, aunt of dancer Nicole Neal, of Honey, Coach Carter and Destiny's Child. 2 Is inspired by Marian Wright Edelman, founder and president of the Children's Defense Fund (CDF). 3 Supports a number of charities including Safe Horizon,The Children's Defense Fund, Champions for Children Campaign, The Triple Negative Breast Cancer Foundation, HOPE Worldwide and UNICEF. 4 Is the founder and director of Style Works (helping women go from welfare to work force) and The Angel Rock Project (which supports a number of charities). 5 Friends with Erica Reed, Star Jones, Holly Robinson Peete, Stephanie March, Kelly Ripa, Mariska Hargitay, Veronica Webb and Oprah Winfrey. 6 Attended the opening of Oprah Winfrey's school in South Africa. 7 Lived in Brooklyn, New York. 8 Met Chris Rock at the Essence Awards. 9 Daughter-in-law of Rose Rock. 10 Featured in "Redbook Magazine" as one of the winners of the 2002 Mothers & Shakers Awards. 11 Founder and executive director of StyleWorks, a non-profit, full-service salon that provides free services for women leaving welfare and entering the work force. 12 Born in Oakland, California. 13 Now resides in Alpine, New Jersey. 14 Worked as a public relations executive booking celebrities for Unicef. 15 Second daughter, Zahra Savannah born 22 May 2004. 16 Has a degree in arts management from Howard University. 17 First daughter, Lola Simone, born 28 June 2002 in New York City. 18 Sister-in-law of Tony Rock and Kenny Rock.